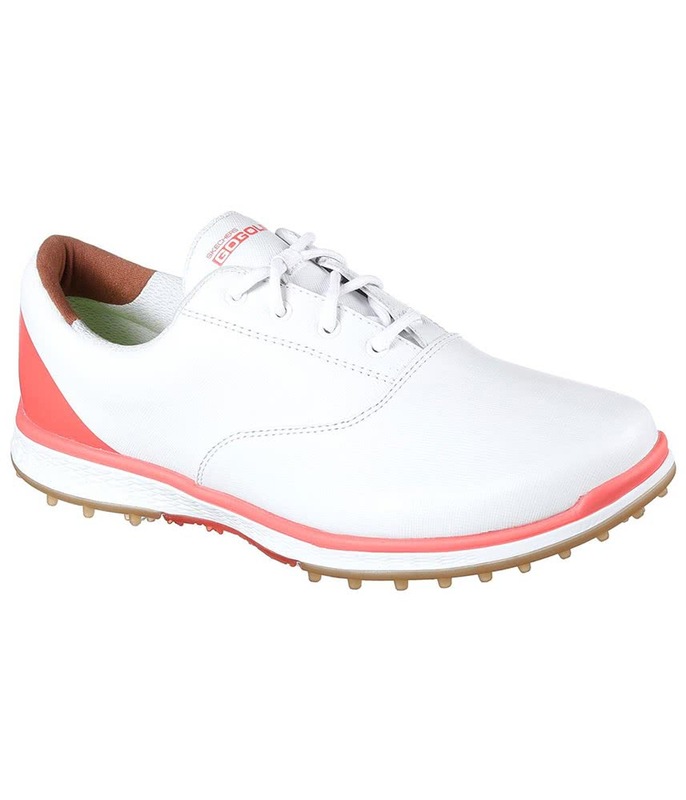 The Skechers Ladies GO GOLF Elite V.2 Adjust Golf Shoes combine the innovative sole technology of the Gowalk 4 with a luxurious and stylish smooth leather upper. 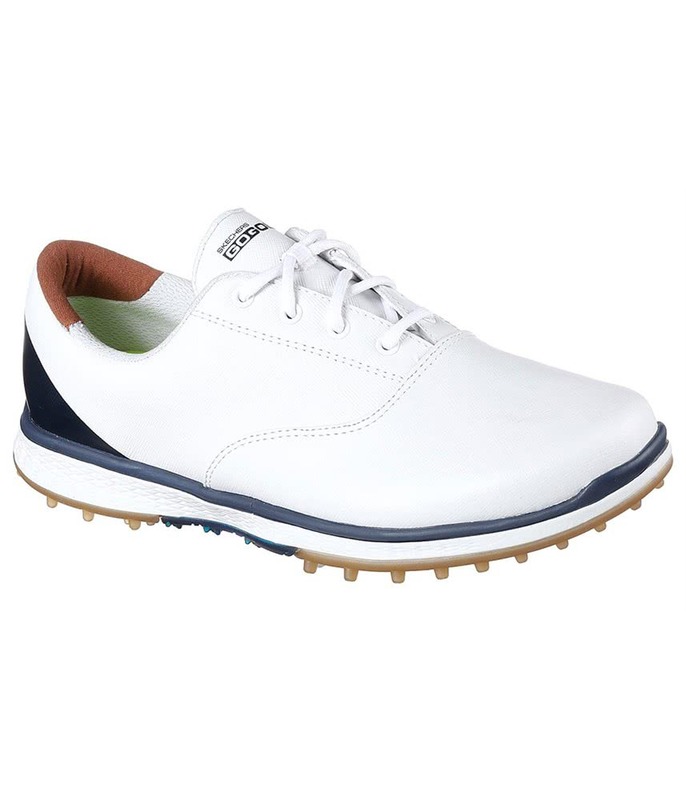 Skechers have used a lightweight, flexible and responsive spikeless outsole inspired by their GOwalk 4 technology. 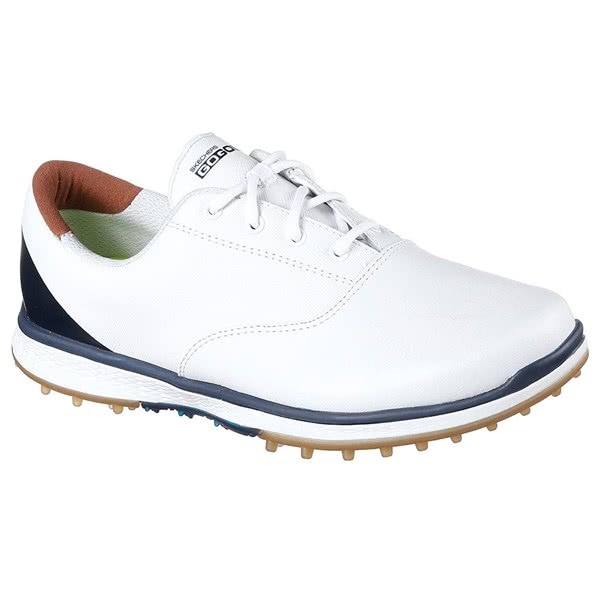 This sole design will allow you to walk all day in comfort with the versatility that will let you walk on any surface.